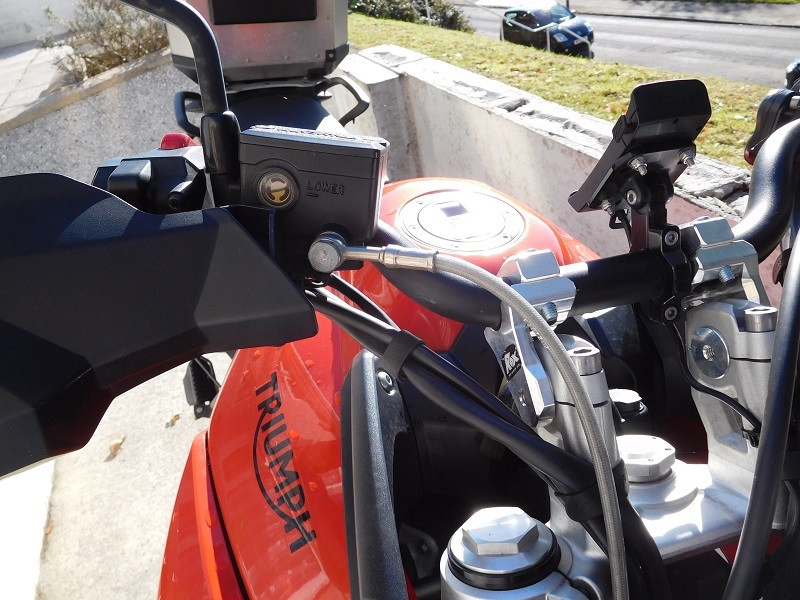 Like other owners of 2018 bikes, I’ve had a fail on the use of the horn as a power source for my sat nav. So it looks like I’m running an earth + power to the battery with an in-line fuse. Have any 2018 spec owners (TFT screen versions) found a smart routing for the cables? Re: 2018 XCx - Routing for Sat Nav cable to battery? 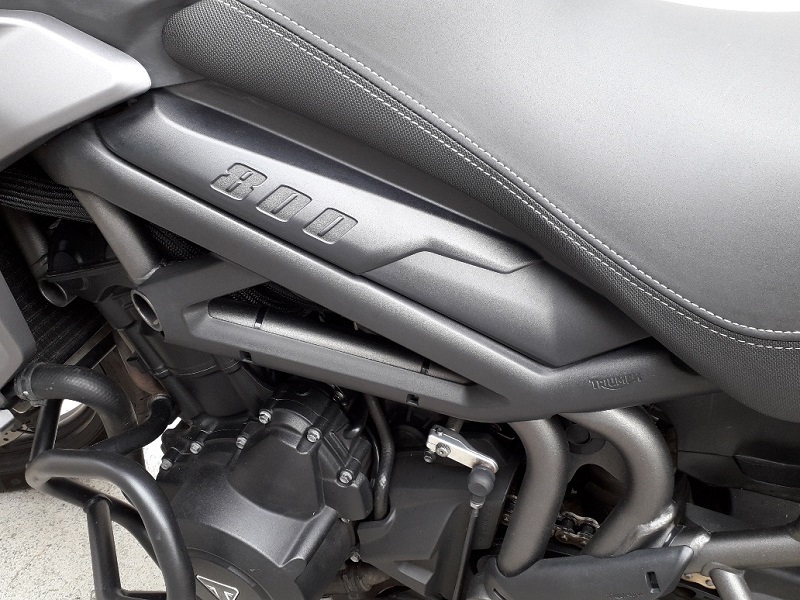 Some of us have hooked into the "unused" white connector block under the seat - see https://www.tiger800.co.uk/index.php/topic,24111.0.html. 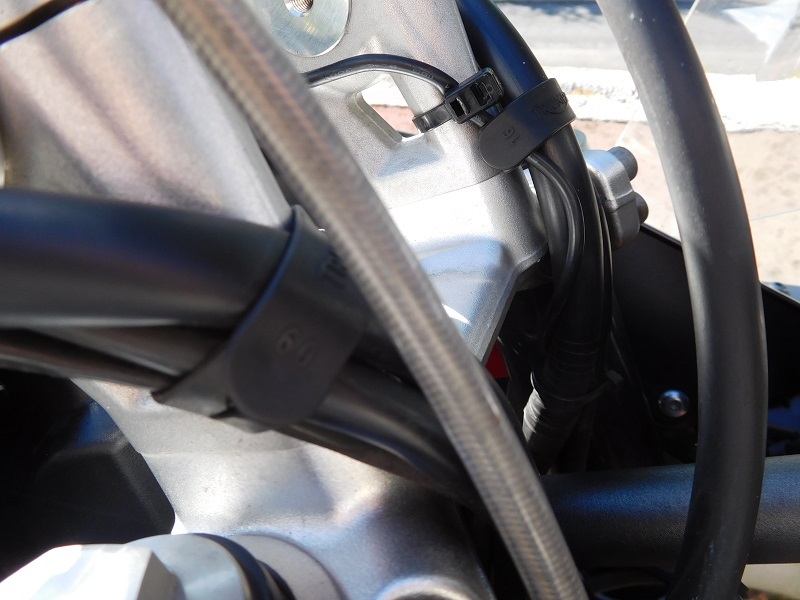 It is now assumed that this connector block is going to be used as the turn-by-turn Triumph/Google satellite navigation for all TFT display bikes. However, as I won't be using that system, I am quite happy to use the block as a power supply for my TomTom. : I do not understand why folks do not research this forum for answers to their dilemas. 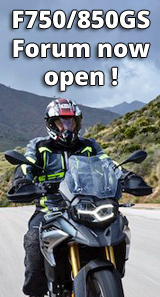 There is a thread that explicitly identifies how to use an ignition switched +12v on 2018 bikes. 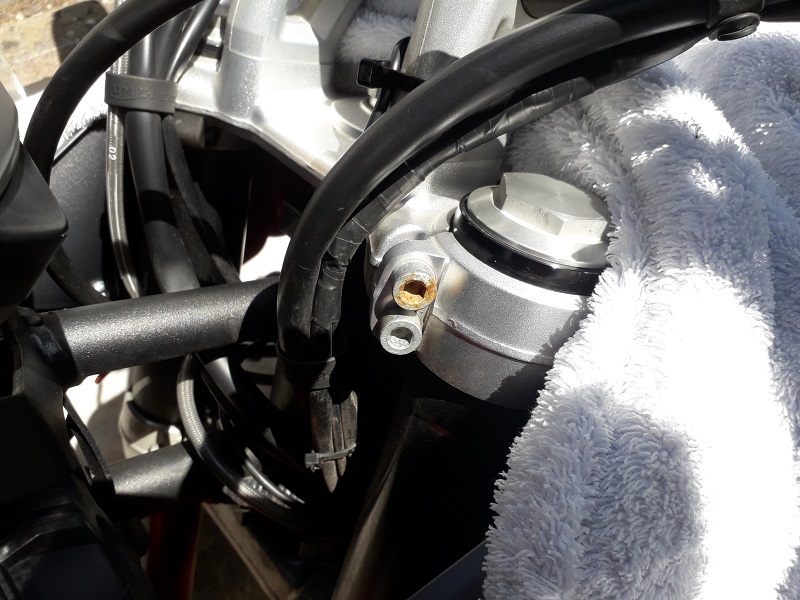 As regards a routing removing the small fairing panel in the same way as bikes since 2015 gives an easy cable route alongside the tank. I always just use an Eastern Beaver 3CS three circuit switched fuse block for accessories. They are dead easy to install then when you connect accessories to them it is a simple job and everything just turns off with the ignition. I have used the same 3CS fuse block on my last three bikes so value for money is right up there. Connecting more and more things directly to the battery terminals is not a great idea. Not a shiny 2018, but a 2015 and I simply fed my Garmin feed cable from battery/supply box through next to the air filter housing and alongside the main wiring loom on the left side, loosely looped a few cable ties around both, pushed the cable back behind main loom as far as possible and gently nipped cable ties up. Parted away from loom, cable tie to left front indicator feed wire and then a few cable ties following existing handlebar wiring. Unless you went closely looking you wouldn't notice the wire on the main harness. I never had to remove any body panels to feed the cable from the sat nav to a power source under the seat. I have always found it useful to take the little panel ( that has Tiger sticker on it) off. One button head screw and slide this little panel back. Sliding it back takes it off a horizontal locating "leg". It is obvious how it located when you take it off --- making replacement easy. Taking the panel off lets you run the wiring and secure it. Remove either off side or near side which ever you want. The wee box from Mark's Motorcycle Parts does a similar job. Four five amp outlets and one Two amp. Fitted with "Self healing" fuses. I did consider the white plug near the alarm socket and read the excellent post about this, but then discounted that after I read about the pending Bluetooth dongle due this spring. Thank you - appreciated the pics and advice on routing - exactly what I was looking for. I’m fitting a Hawk plug ‘n play alarm (let’s see!) and Adventure Spec carrier plate tomorrow so I’ll tackle the hardwire whilst I’ve got the battery disconnected.